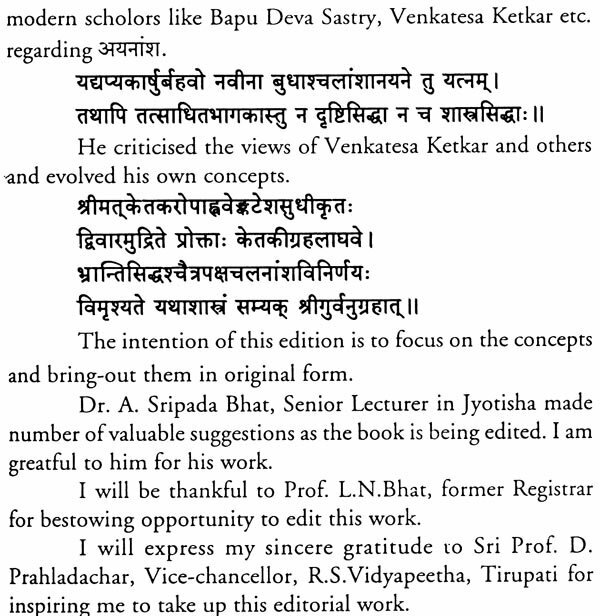 About the Book Jyotisha bestows the knowledge of the time to perform Yajnas etc. 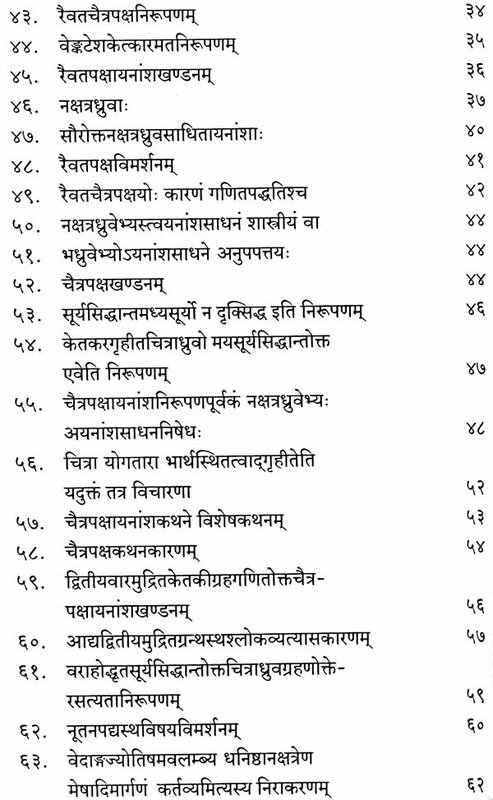 Vedic Sages in ancient times concentrated on Graha Vedha (observation) and discovered the movements of various planets. 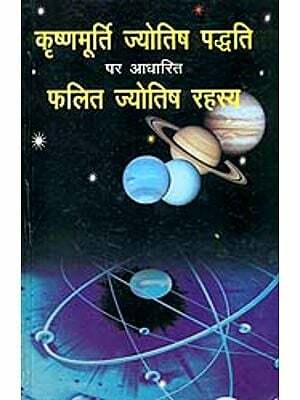 The daily motion of planets is changing from time to time resulting in difference between the computed planetary position and their observed positions. 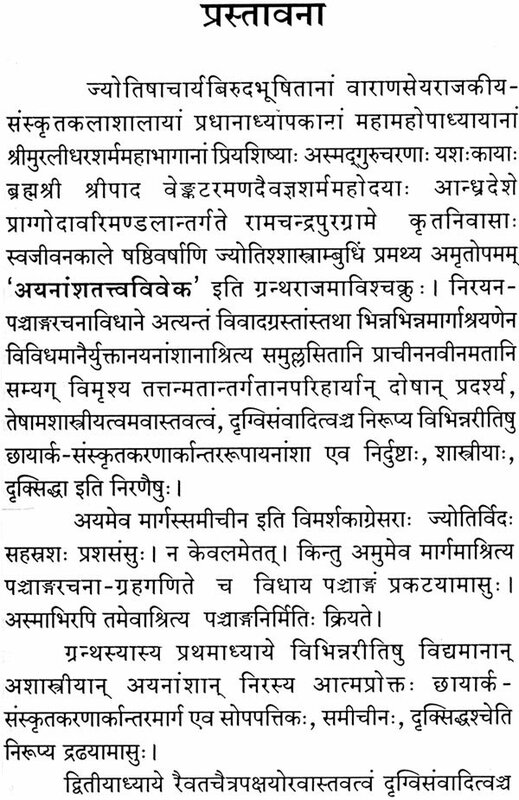 To overcome such differences the ancient sages advised the observing graham vedha for deciding the exact times of solar and lunar eclipses etc. 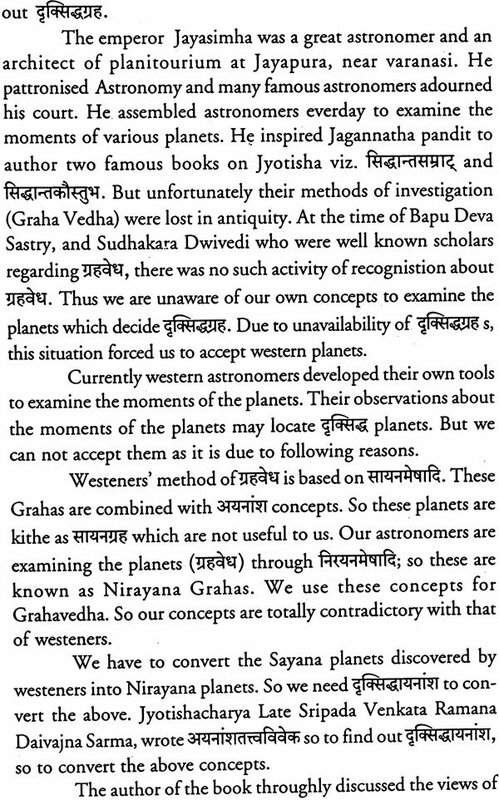 Unfortunately the tools of vedic sages regarding graham vedha and their methods of investigation were lost in antiquity. 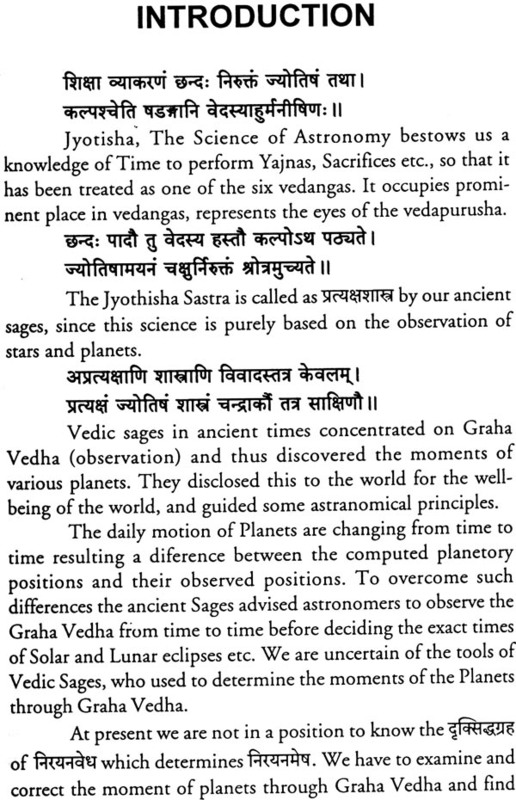 Western astronomers developed their own own tools to examine the movements of the planets which may locate drksiddha planets. 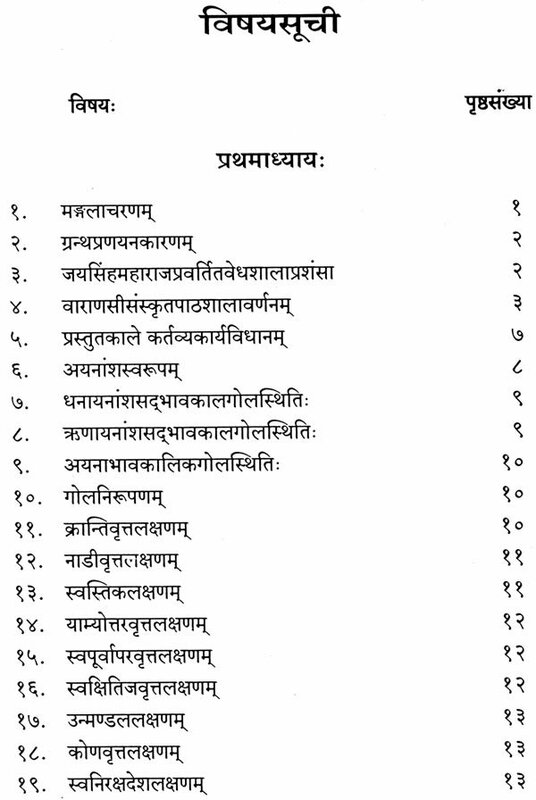 Western's methodof graham vedha is based on sayanamesadi. 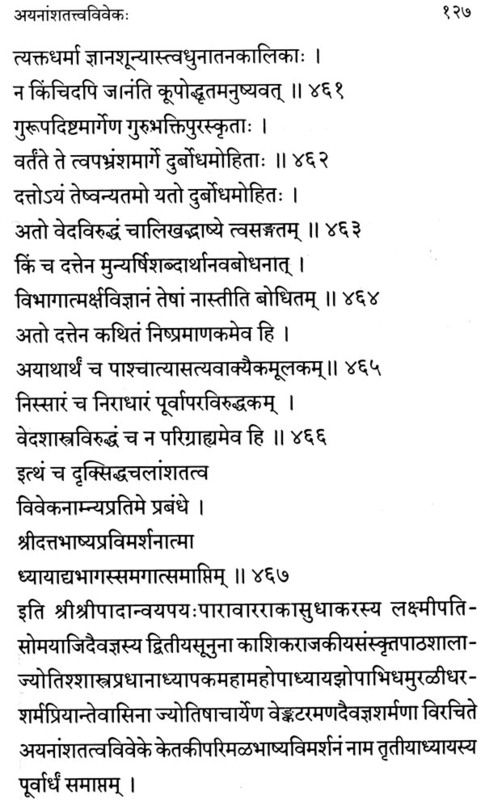 These grahas are combinedwith ayanamsa concepts. 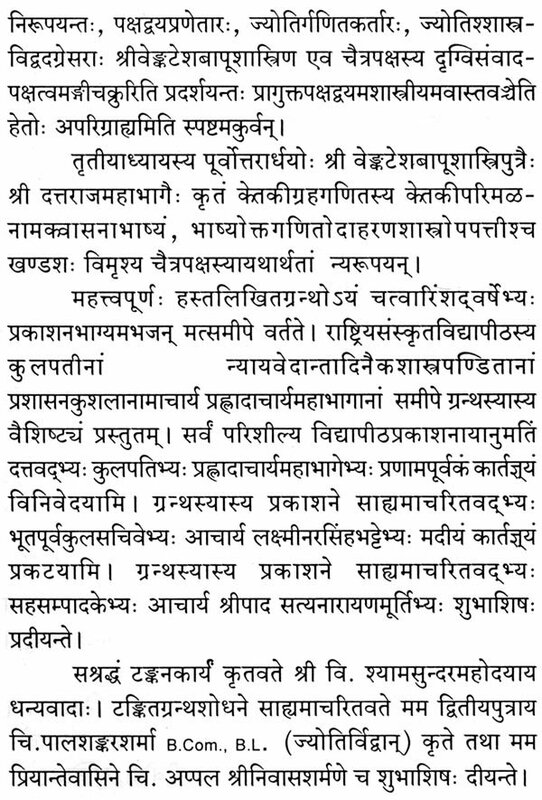 To convert the Sayana planets discovered by Westerns into Nirayana planets, the drksiddhayanamsa is needed. Late Sripada Venkata Ramana Daivajna Sarma, wrote' Ayanamsatattvaivekah' to find out drksiddayanamsa so to convert the above concepts. 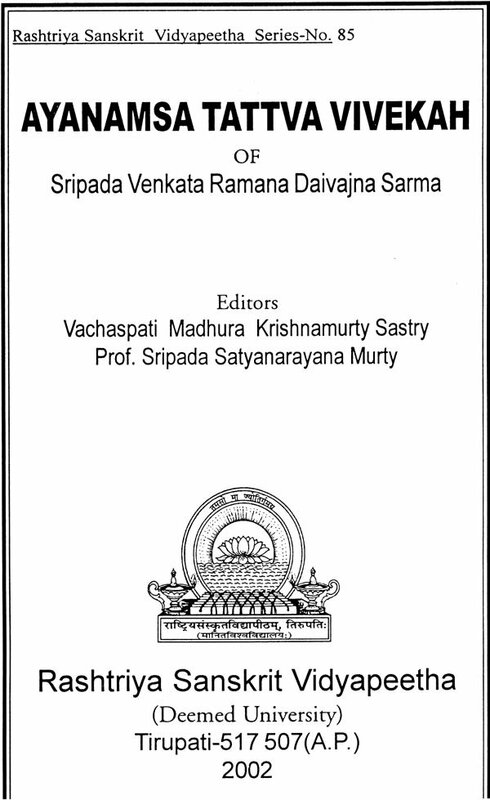 The present work dealing with the above issues, has been edited and presented to the scholarly world.